I got the this from HBC during their Great at 88 Sale last August. I love the fact that it provides medium coverage and is affordable. Unfortunately, the San San Age-Defying 2-Way Powder Foundation isn't something I'd be repurchasing. Swatching against the back of my hand, I felt like it was an okay shade match. 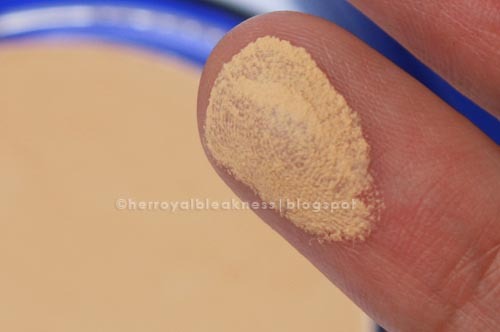 Here are also swatches of the powder foundation against the sponge. Uncovering the Cons. 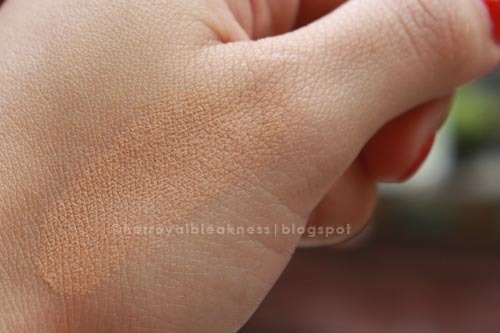 It seemed like a good shade match but I noticed that this foundation oxidized big time on my skin. I looked ugly bronze-y by the fourth hour I was wearing it. And so I purchased a refill in 01 to replace 03 (02 had pink undertones). It still made my face look unpleasantly darker after a few hours. Another letdown is its poor oil-control. Ironically, it seemed to hold up the oilies upon application, even a bit too matte a finish for my taste. However, after 5 short minutes, my T-zone began to oil up. The photos below are a bit blurry but I was oiling up like crazy. You will definitely want to put up blotting papers on your computer screen against my pictures. Third problem is the powder's texture. 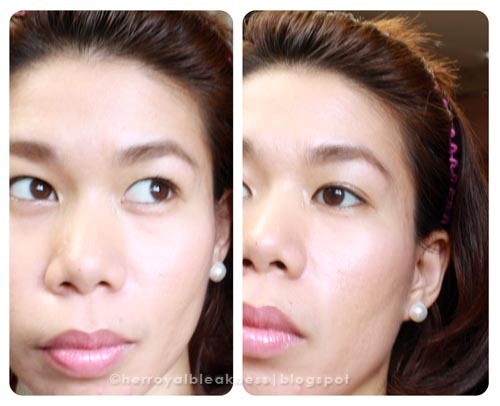 Makeup gurus might find it too chalky. Also, I find it weird that the texture of the San San Age-Defying powder on the pan gets ruined when a wet sponge is used. The photo below is in shade 01. It was easy to let go of the product taking the pile of cons it had for my skin type into consideration. However, this foundation had such great finish and coverage for my zits and pits, it breaks my heart a little to not use the compact. Recommendation. 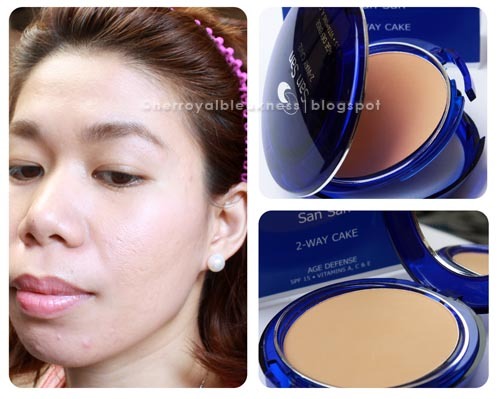 This powder foundation will be more appreciated by acne-free, normal skin types. It's sheer irony that this has good coverage that glides smoothly on the skin, only to be better used by those with already good skin. I'm afraid I won't be getting another San San Age-Defying powder foundation until I see that "improved formulation" stamp on it. i imagined it being used by those who may have marks but not "bumpy" ones. it's been so long since i used a compact powder foundations - i really am not drawn to them anymore. i either go for liquid or loose powder form. 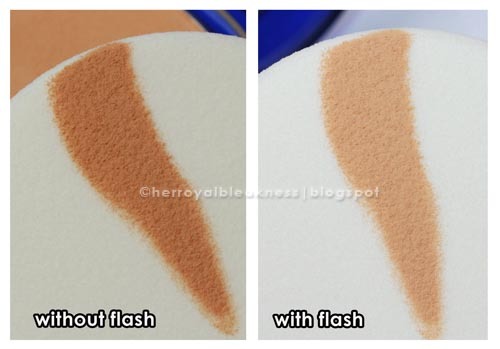 still, i think this maybe good for those starting on makeup application but may need primer before applying it noh? great review dear! sayang this didn't work for you. haven't used hbc products in a while. Eep! A foundation that has matte finish but oils up in 5 minutes? Definitely a miss. Sad that the cons outweigh the pros as it is very budget-friendly.